A Columbia University professor will withdraw from his position following allegations of sexual harassment. 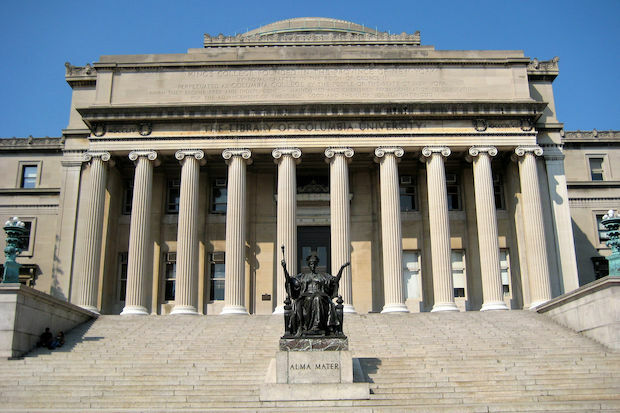 MORNINGSIDE HEIGHTS — Columbia University announced that a history professor currently embroiled in a sexual harassment lawsuit would withdraw from teaching, advising and other student-related activities. The tenured professor, William V. Harris, and the university were hit with the lawsuit on Oct. 2 alleging that he abused his position of power and sexually assaulted a graduate student multiple times for more than two years. Harris touched the victim "up and down her back in a sexualized manner," repeatedly made unwanted sexual advances, and "suddenly and without warning or permission" put his mouth on her breast, according to the lawsuit. "It's a vindication of the allegations in the complaint to be sure," the victim's attorney, David Sanford, said. "We filed our complaint less than a month ago, and Columbia has investigated and now has taken this action." On Monday, Columbia University officials sent out an email to the students enrolled in Harris's classes stating that he agreed to withdraw from his position. The email came from the university's dean of the Faculty of Arts and Sciences, David B. Madigan, and the dean of the Graduate School of Arts and Sciences, Carlos J. Alonso. "We share this information more broadly with you to clarify what has been a subject of consideration discussion and concern," the email read. "We also want to take this opportunity to reiterate that Columbia must be a place where students and scholars are able to pursue their academic work free from worry about harassment of any sort." The email doesn't elaborate on Harris's long-term prospects at the university. Sanford said that given Harris has been teaching at Columbia since 1965, he expects more people to come forward with similar allegations of misconduct. "The real question is, what did Columbia know, when did it know it, and what did it do about it? It's our understanding that it should've known three decades ago and it has not taken any action against this professor until we had to file our lawsuit." A Columbia university spokesperson reiterated in a statement that the school was committed to a discrimination- and harassment-free environment, but declined to comment specifically on the ongoing litigation. "Professor Harris remains an employee of the University," the statement read. "We do not comment on personnel matters and have nothing further to add beyond what already has been communicated to our students and faculty."